Happy Tuesday friends!! I'm currently having a week off from work and I'm thoroughly enjoying it so far. It's been intense over the Christmas period, as you can imagine and I've got the additional stress of a uni interview tomorrow. I'm trying to stay calm but I'm so not calm at this kind of thing. Whilst brainstorming posts, I realised I've never posted or told you about my tattoos. 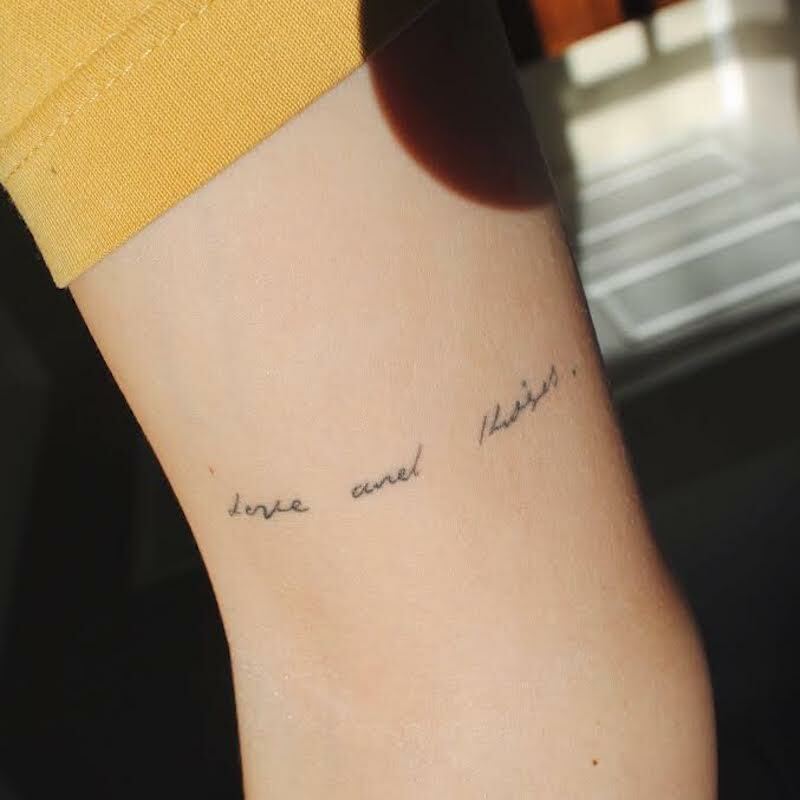 I shared a post of my first tattoo (a year ago now, whatt) but I never mentioned the others I have. I also wanted to share my everyday jewellery with you too, because the sun was so beautiful this morning and I got some fab photos. I got my first tattoo of the evil eye on my foot a year ago this month. I got it on sort of a whim, but I do love it. It doesn't have much of a meaning to be honest. I think I hoped I could imagine one up, but it hasn't happened. I don't mind though, its my first tattoo and I think the period of time it represents means more to me. In May last year I got the next three of my tattoos.. I got them all done by the lovely Morgan from New Language in London. She's incredibly talented and I adore all the tats she did for me. Pictured first is my lightning bolt tattoo on my left inner arm. 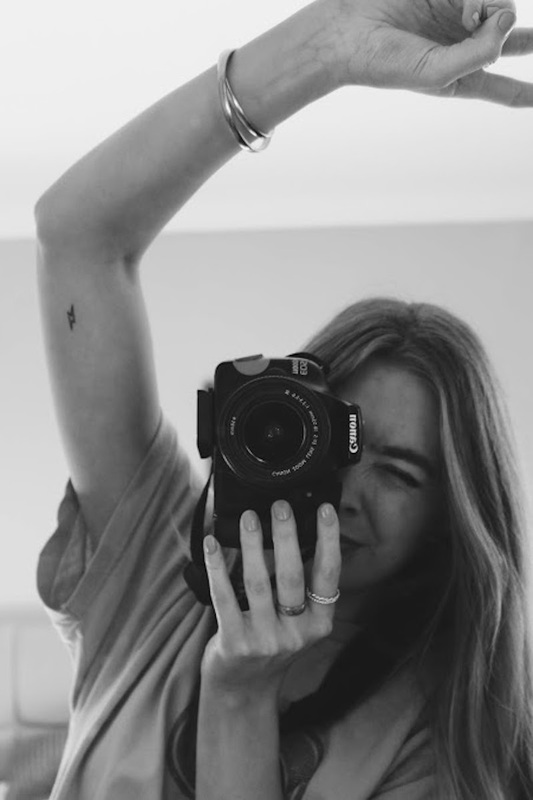 I am obsessed with tiny tattoos (and big ones, but tiny are a personal fav) so wanted to get a few smaller ones. This is a tribute to Bowie and my love from him as an artist. 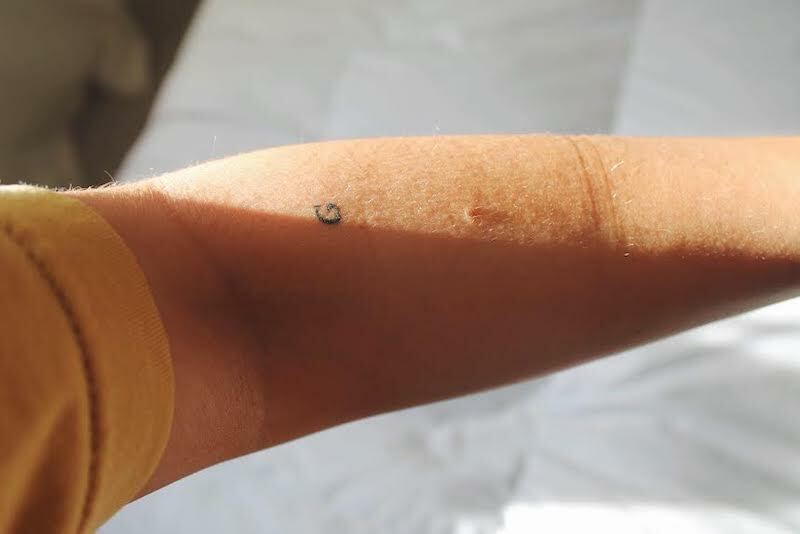 The next of my tiny tattoos is the letter 'G' on my arm. This is probably my favourite tattoo of all and it's for my brother George. The font is times new roman bold, you just can't go wrong with a bit of TNR. I'm all or nothing with jewellery. You either go hard or go home. I've been pretty fickle with my jewellery; flitting between gold and silver recently, which is fab bc I feel as though I've found ways to wear them both. I never, ever thought I would be a gold kinda lady but it's a changing. 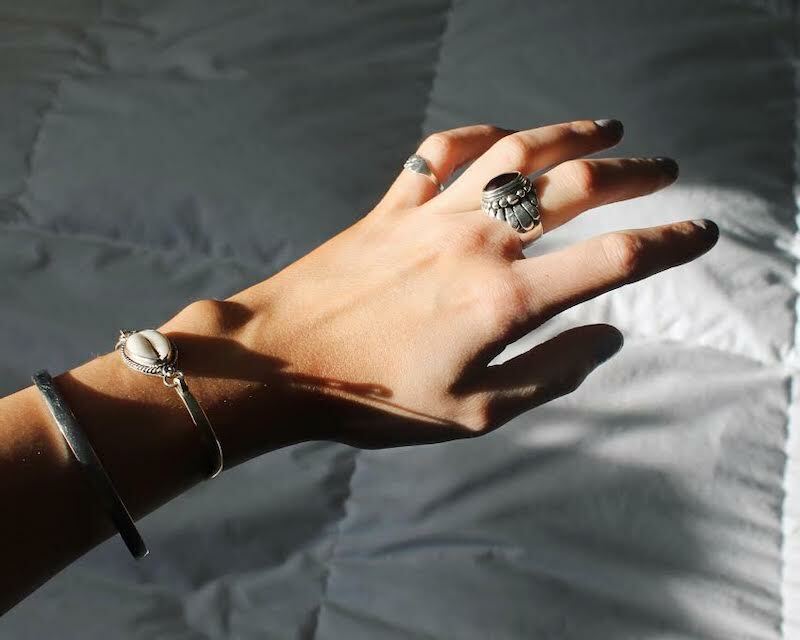 I've been loving big statement silver rings and jewellery, Wolf Circus is a fav. My main ring is from The Great Frog and was an 18th present. 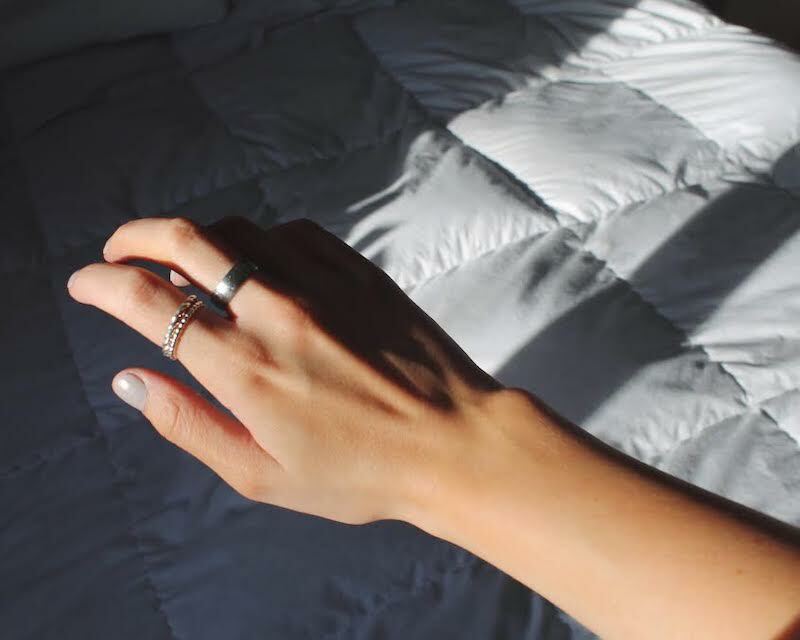 I adore it, and I so want to get more from TGF, but my bank balance wont have it..
My signet ring was a gift from Archie this xmas, and the other rings are also gifts.. My pals have good tastes what can I say. So yeah.. Those are my tattoos and a few of my favourite jewellery pieces atm... I hope you're all well and pushing through the january bluesss. aw gorgeous photos!! always loved your tattoos, makes me wanna get a lil one too!